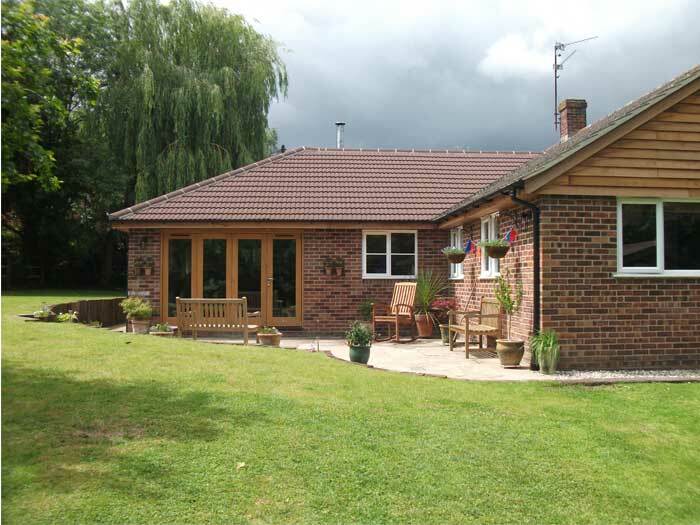 This project involved removing the existing structure and rebuilding a brick single storey extension to the rear of the house, to support the existing structure we installed supporting steelwork. We also provided internal works including customised brick chimney breast to house new log burner, plastering, electrics, plumbing and all second fix carpentry. “Twice now we have had the guys at THI carry out work on our property and I wouldn’t hesitate to use them again. The first time was a major extension that increased the size of the property by over 400 sq ft, creating a new sitting room and 4th bedroom. 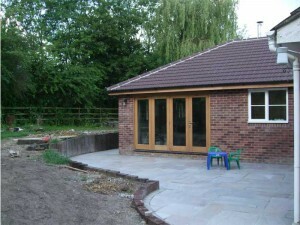 The extension was brick with a tiled pitched roof to match in with the existing property. In addition, internal re-modelling created a large open plan kitchen and dining area. Matthew and his team carried out the work on time and to a high standard. They were easy to work with and were flexible and knowledgeable in their approach to the build and the various challenges it threw-up. We discussed what was happening on a daily basis and major surprises were avoided and issues worked through up front. Even with poor weather the build was completed as expected and we now have a great living space and extra bedroom. 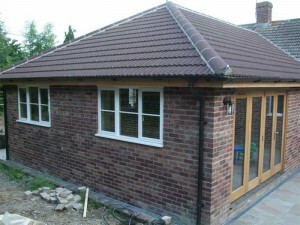 The second time we had a gabled porch extension added and also completely re-clad the main gable ends in Cedar. 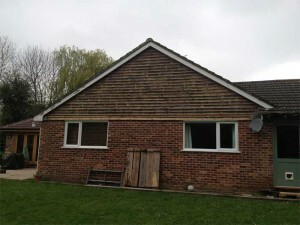 The latter also included replacing all the facsia, soffits and rainwear. 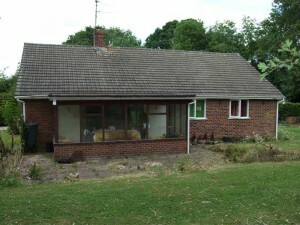 The bungalow is now completely transformed and the guys did a great job of making sure it looks great.